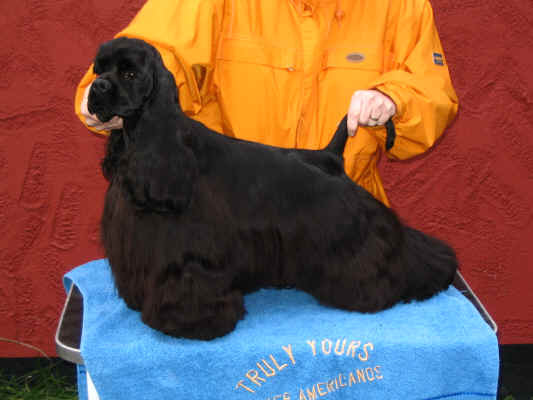 The most winning American Cocker in Europe during 2000, and maybee all time?? 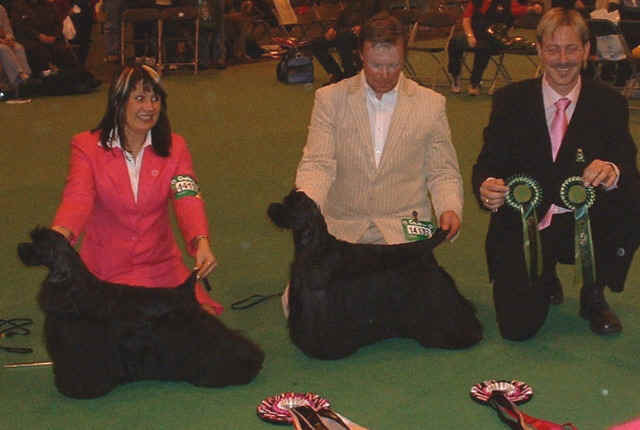 Group 8 in Italy 1999/2000 and TOP DOG ALL BREED Spain 2000. BEST IN SHOWS on the way. the top-dogs in Brasil in only a few months. Flavio showed him aswell to the Brasilien CH. 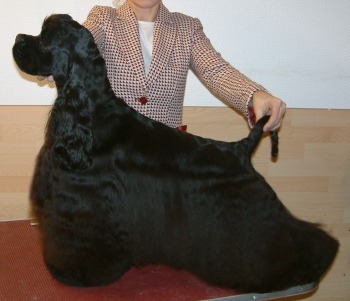 titel and he became Gran Brasilien and Panamerican Champion, winning multiples groups and BIS-placement, and finally a BEST IN SHOW 25.11.2001. This last show ended up in a fatal car-accident where Flavio and his lovely wife lost there lives. 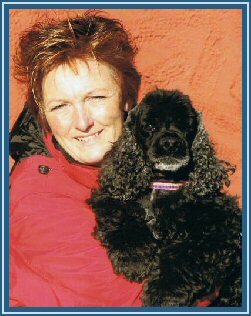 lately in Belgium winning aswell the Belgium-Winner titel 2003, aswell as many groups and Bis-placement on the way including 2 BEST IN SHOWS in Sweden. But, aswell we are very proud to follow all his top-winning off-springs around the world!!!! Thanks to all the judges!!!!!!! FLASH!!!!!! 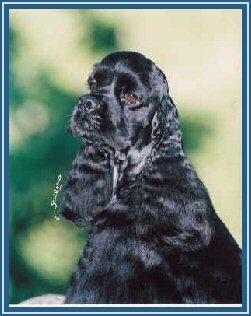 CRUFT´S WINNERS 2005 SIRED BY REGENCY!!!! THOSE PICTURES SAYS MORE THAN 1000 WORDS!!!!!! 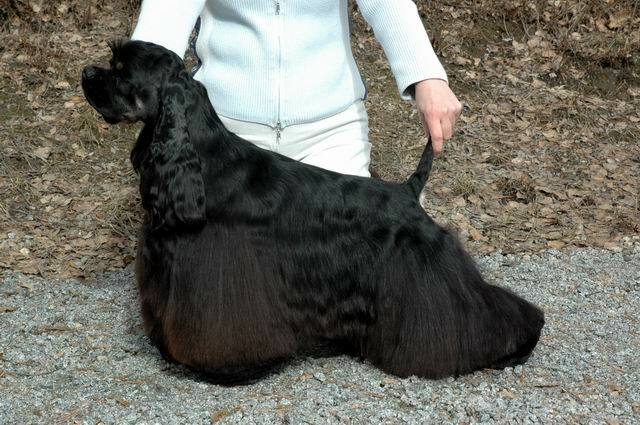 But winning BEST IN SHOW in Madrid 2000 was something really special. Please see the pictures with Regency and his handler Mia Ejerstad when getting the BIS-Trophy from the KING OF SPAIN Don Juan Carlos. Also pictured with FCI-president Hans Müller, president of the Spanish Kennel-Club and BIS judge Don Sergio Montesinos. 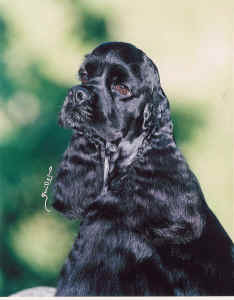 Regency was also TOP DOG 2000 ALL BREED in Spain. Gracias a Mia Ejerstad por guiar a Regency desde joven, hasta lo mas alto, enseñarlo que los exposiciones son divertidos y ganar es LO UNICO!! 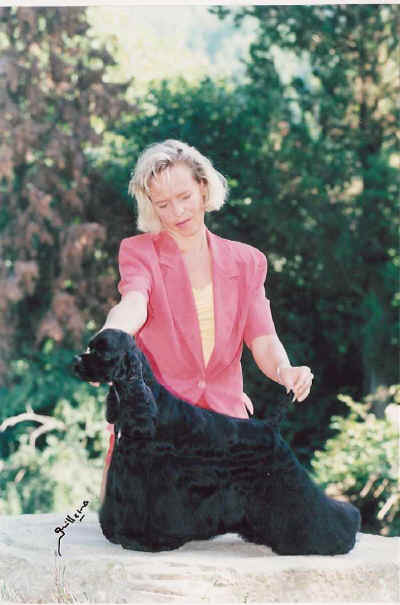 Thanks so much to Mia Ejerstad for taking Regency from young and guide him to be the Top Dog... you showed him that dogshows are fun and WINNING is the EVERYTHING! !